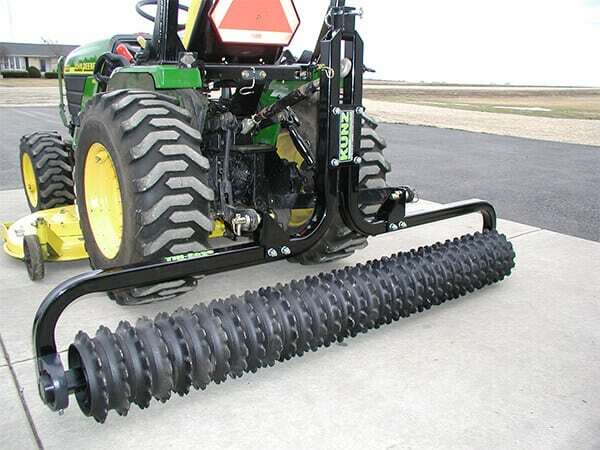 An extra front and back tire can be added to the center section of the mower deck. 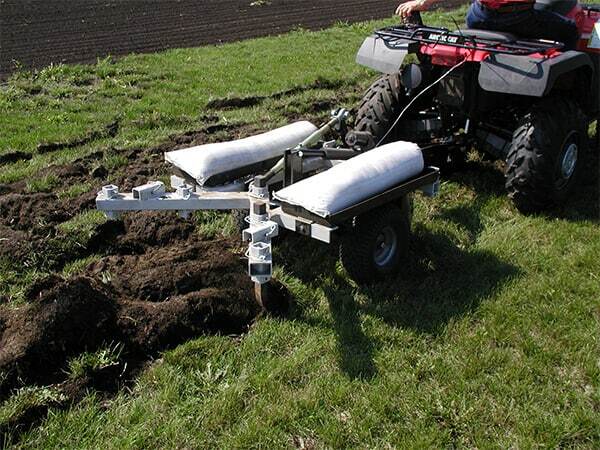 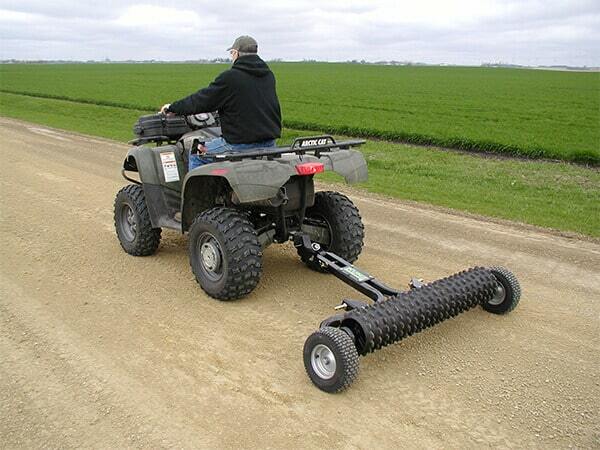 The Wetlands Kit consists of an extra set of tires and mounting brackets. 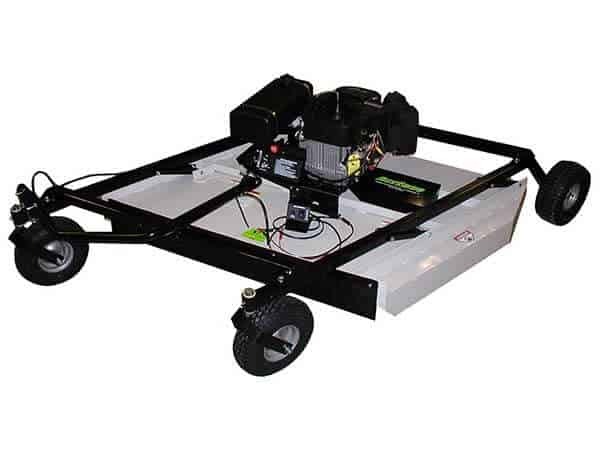 – Easy to install. 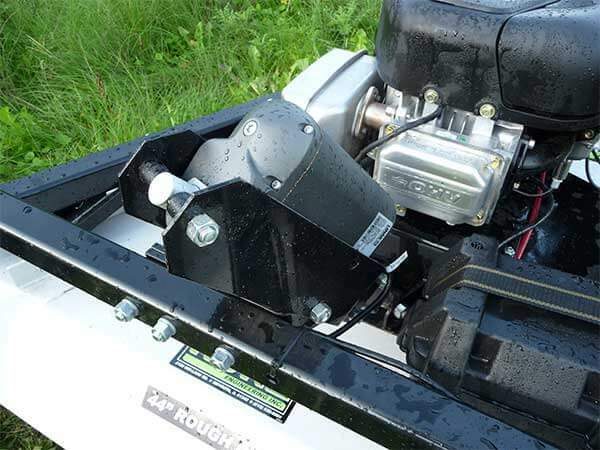 Works on all existing and new rough cut mowers. 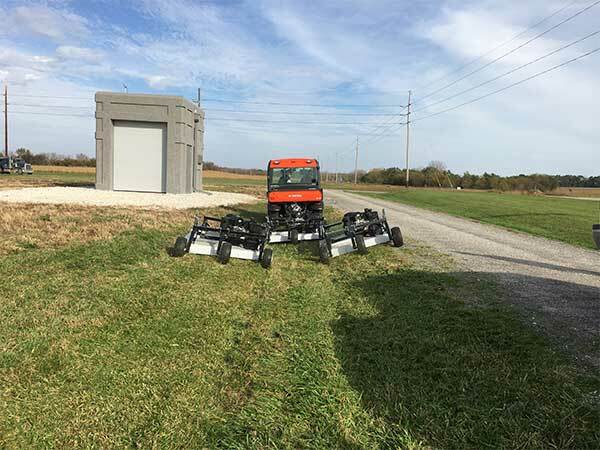 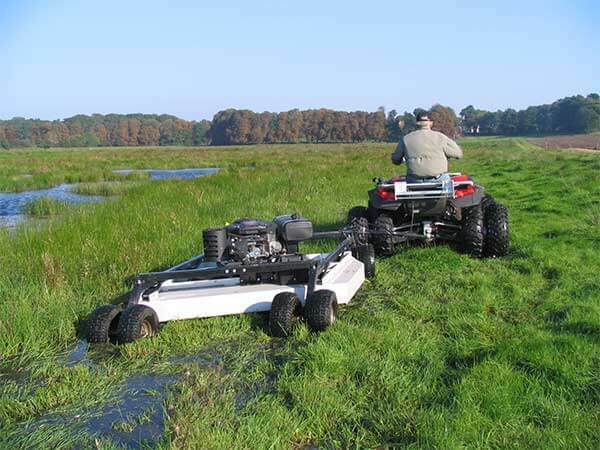 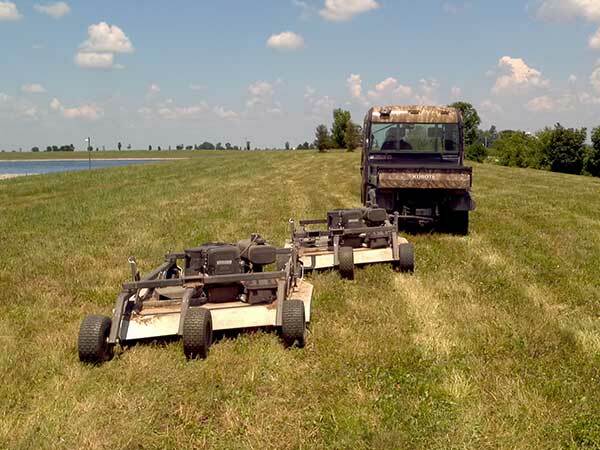 – The rough cut mower will not float with the wetlands kit installed. 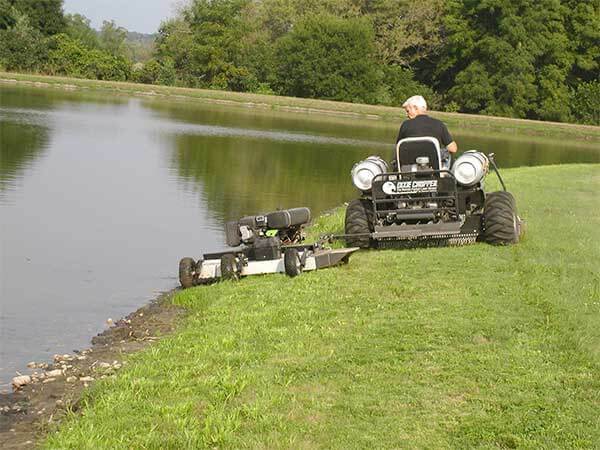 Water greater than 2-3″ in depth should be avoided. 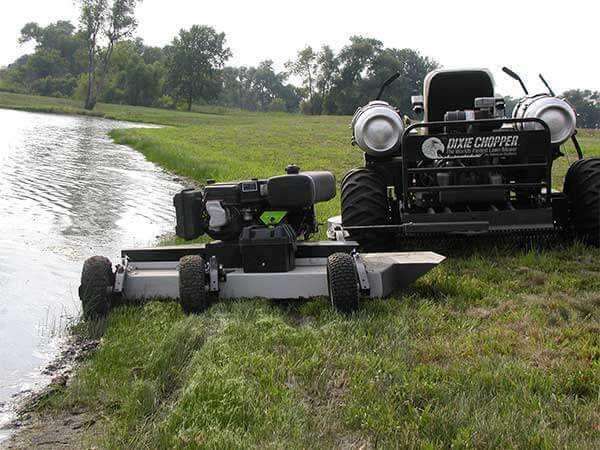 – With the Wetlands Kit installed the minimum cutting height is 3.5″-4″. 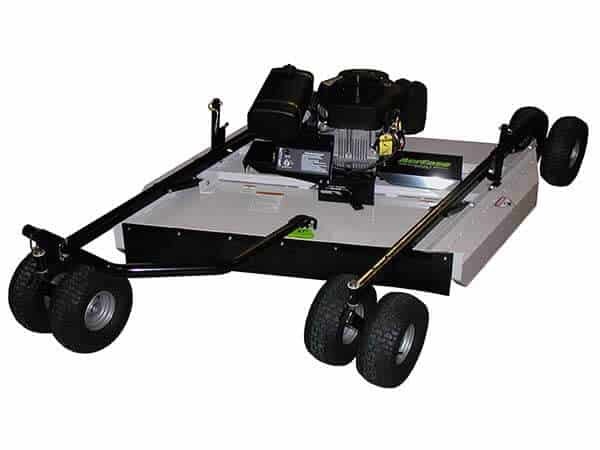 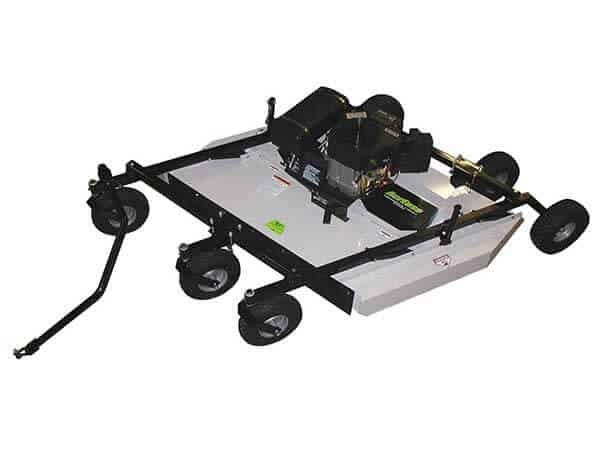 A variety of hitching is available to pull multiple rough cut mowers in a couple different configurations. 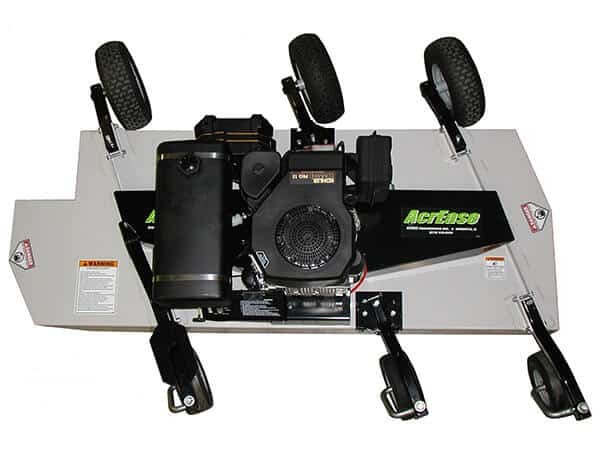 Urethane foam flat proof tires can be purchased for both new and existing mowers. 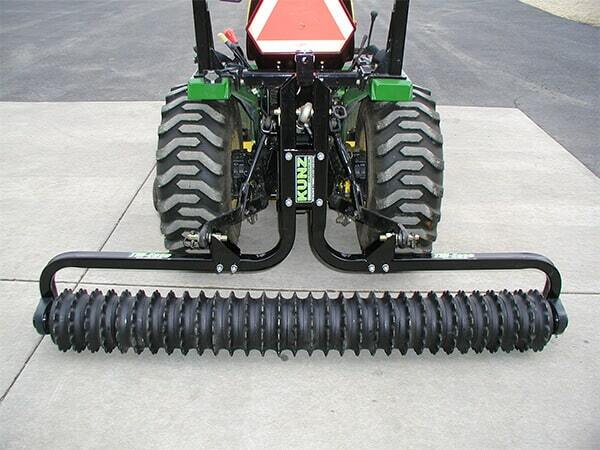 Use on riding mowers and zero turn radius mowers. 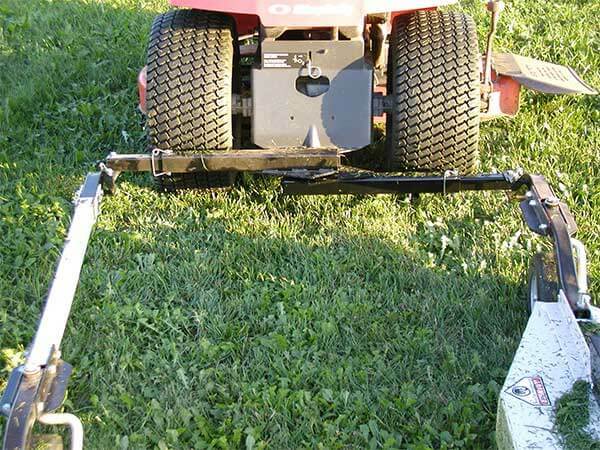 – The Lawn and Garden Hitching bolts directly to the existing hitch on any riding lawn mower or zero turning radius mower. 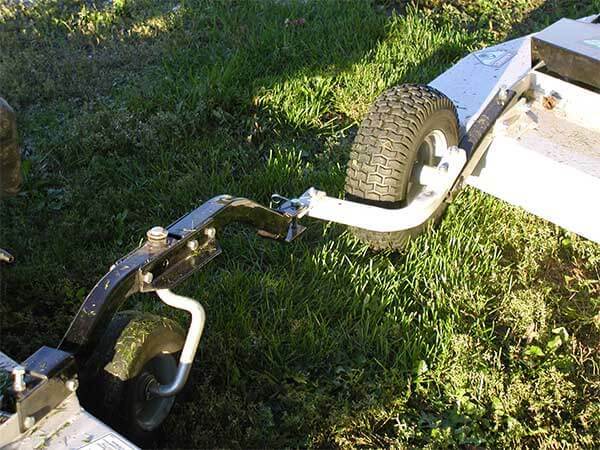 – When pulling one wing mower use the tow vehicle hitch (telescope hitch) and short tongue. 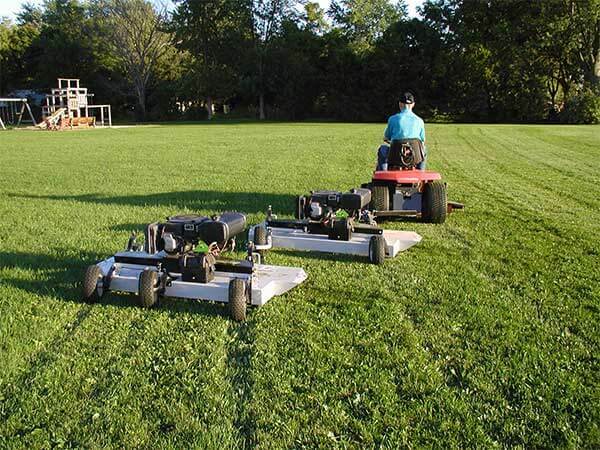 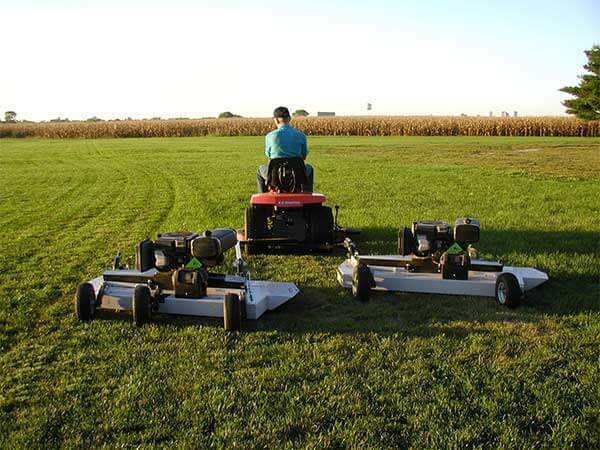 – When pulling multiple wing mowers it is necessary to purchase additional hitching. 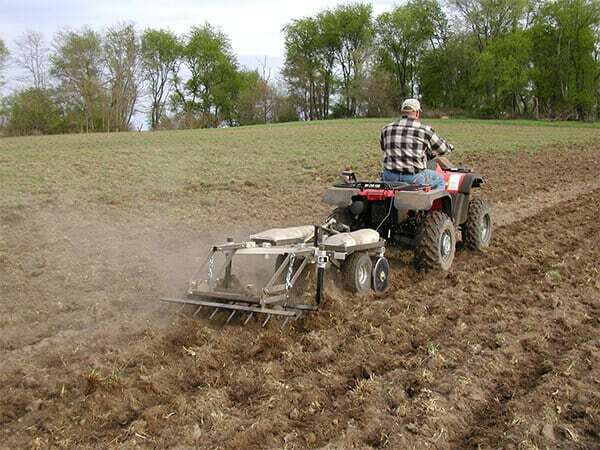 – The long tongue extension is used when two AcrEase are pulled (one on the left and one on the right). 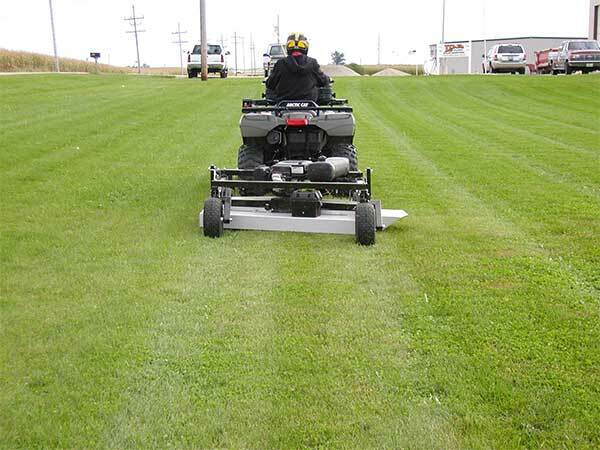 By extending the left side AcrEase back, grass will not be blown onto the right side AcrEase. 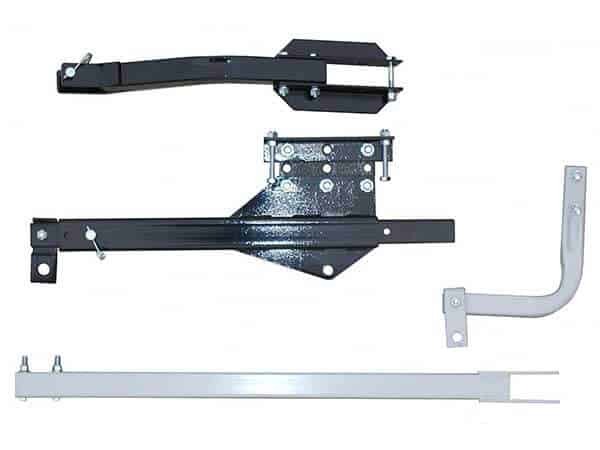 – The rear hitch is used for hitching two AcrEase in tandem (both off to the left side). 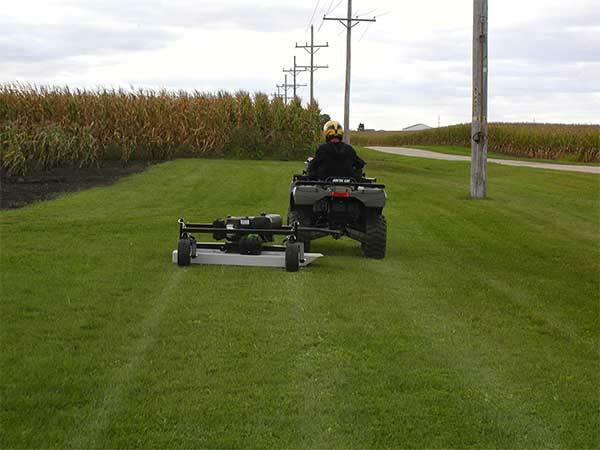 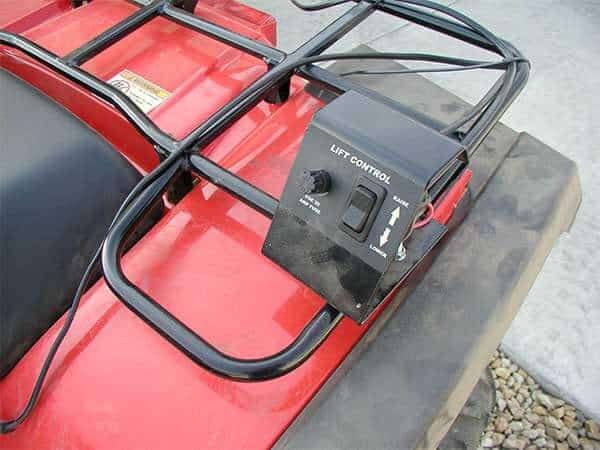 Use on ATVs, utility vehicles, and all other tow vehicles without mowing decks. 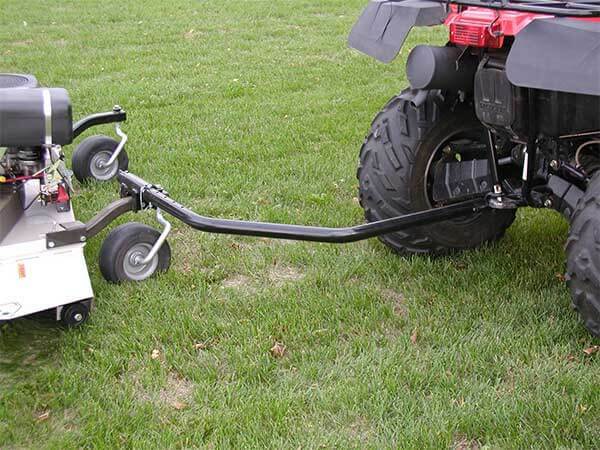 – The ATV tongue hitches directly to the tow vehicles’ existing hitch with a provided clevis pin. 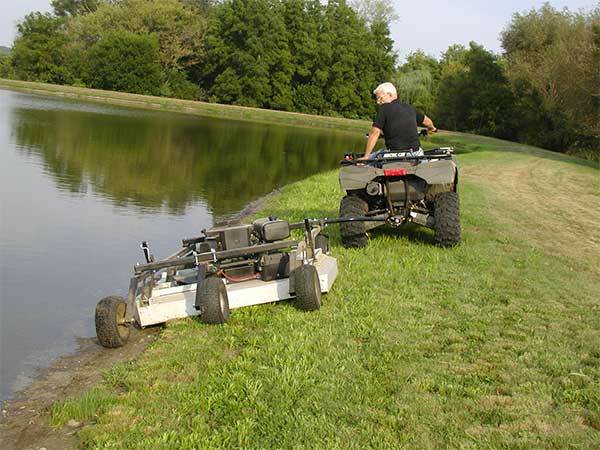 – The ATV tongue can be quickly interchanged from the offset position to direct behind towing. 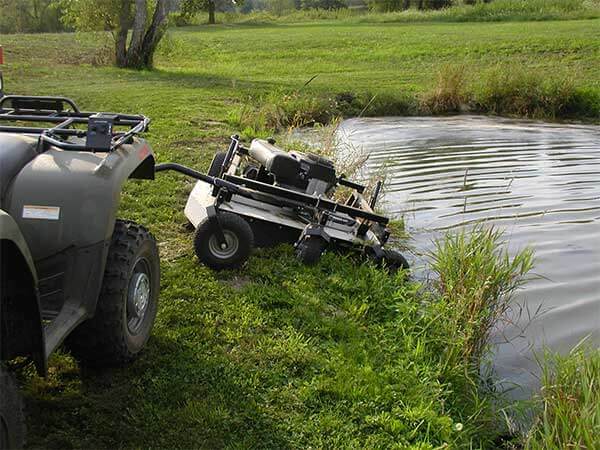 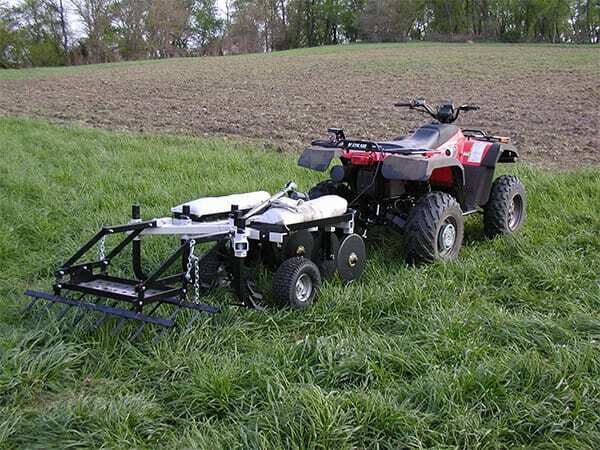 – Quick response maneuverability and stability at high mowing speeds and on steep banks may be reduced slightly. 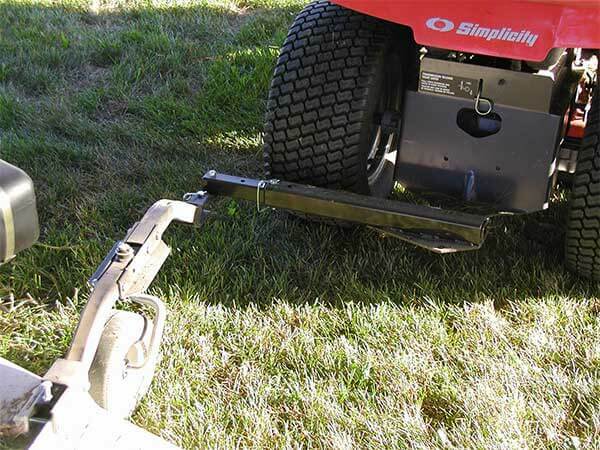 – Multiple mowers can be pulled with an ATV or UTV by using a combination of Lawn & Garden and ATV Tongue hitching. 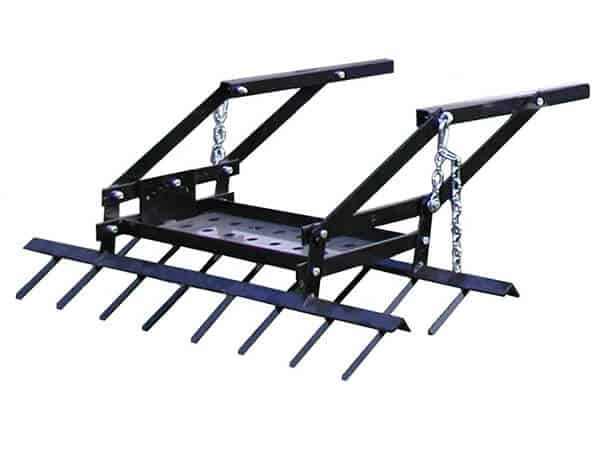 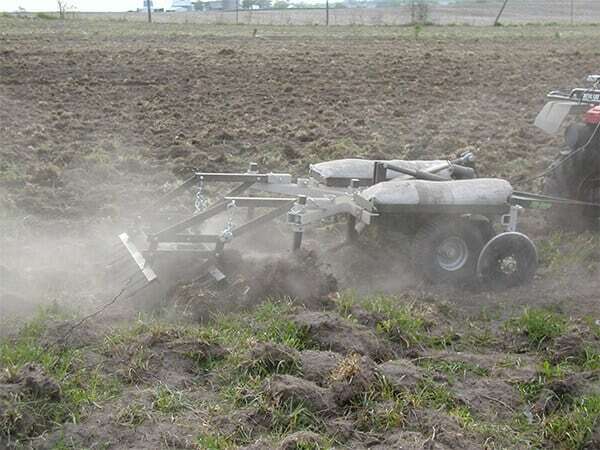 The 0ptional Drag Harrow consists of the harrow and fastening pins. 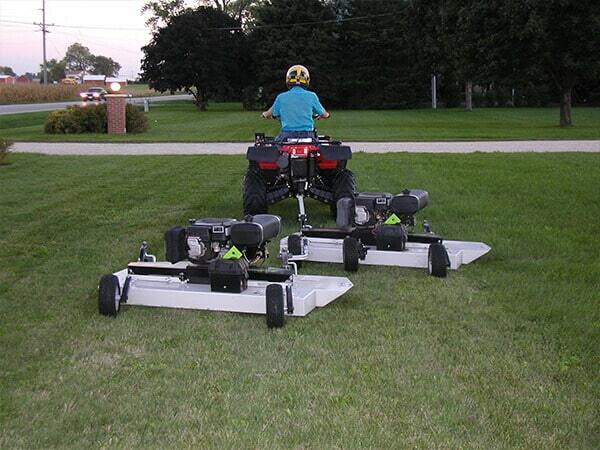 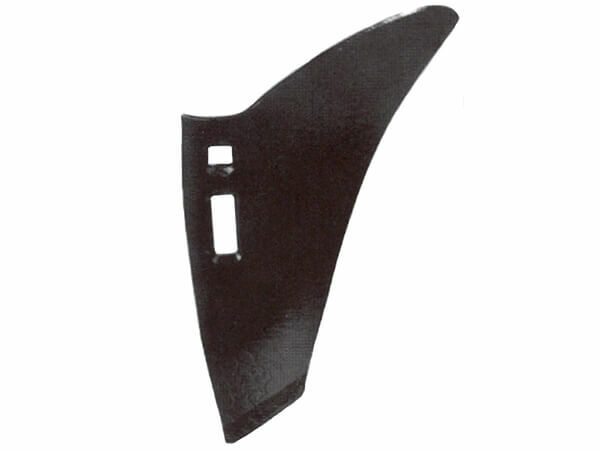 The optional Turning Shovel Kit consists of the 3 turning shovels and mounting hardware. 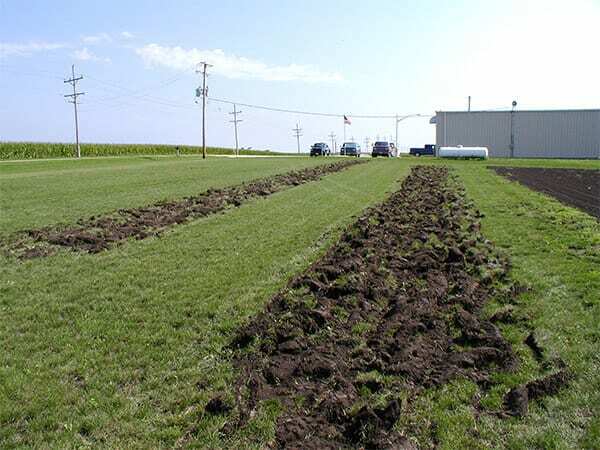 – Turning shovels act similar to a moldboard plow and turn the sod ribbon to the side. 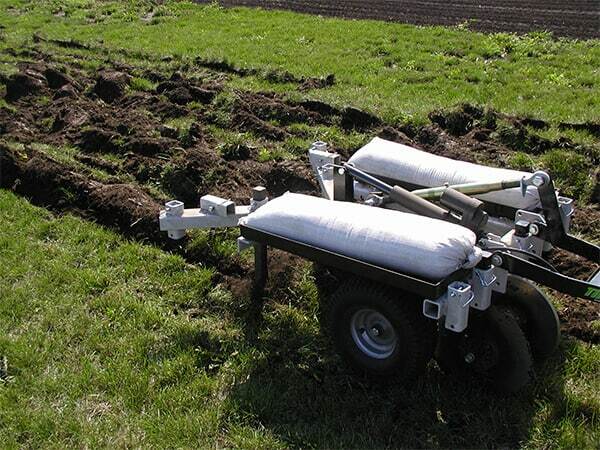 The optional Wheel Kit equips the Model TP Cultipackers with two pneumatic tires for transport. 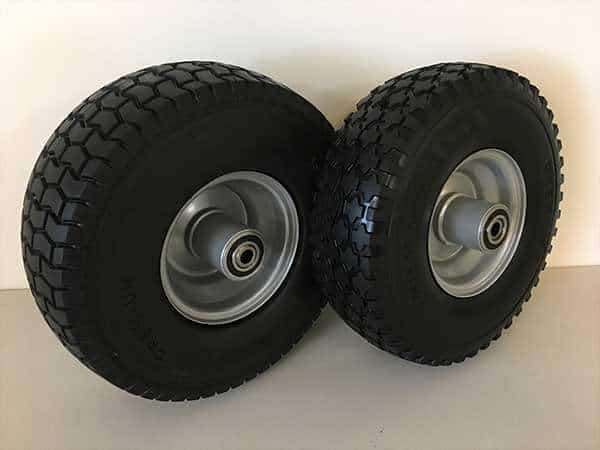 – Simply flip the cultipacker over on the tires for transport. 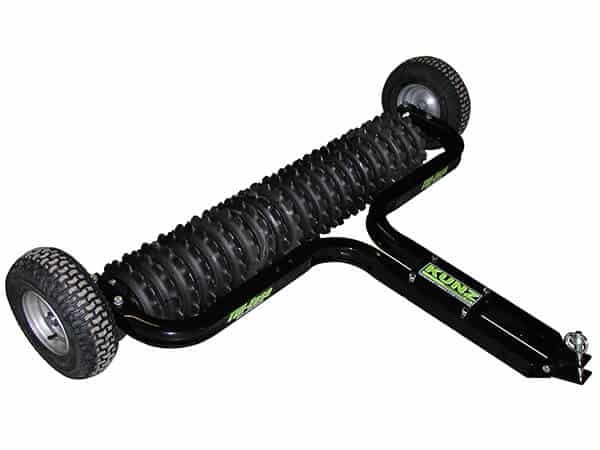 – Tires are positioned very close to the center of gravity to make the flip-over process very easy. 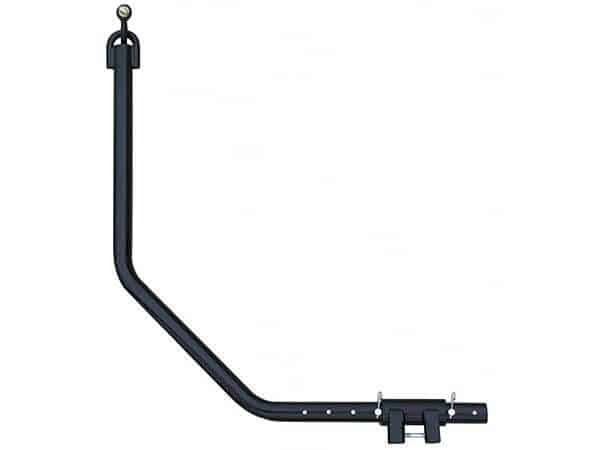 – Easy bolt-on design allows for quick wheel removal if necessary. 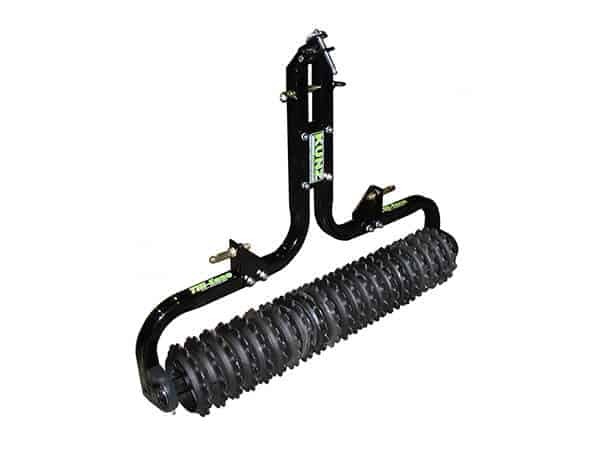 The optional 3-Point Kit equips the Model TP Cultipackers with the pins and brackets needed to mount to a tractor 3-point hitch.